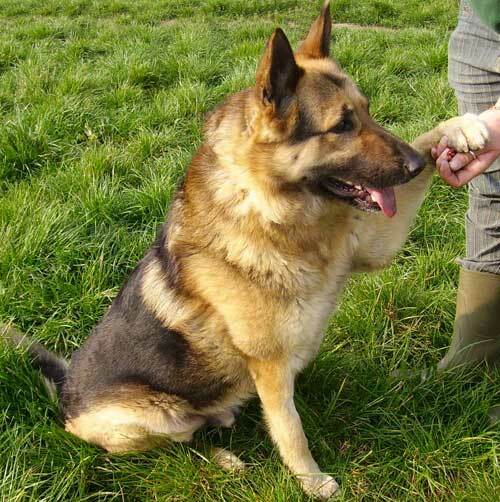 Zeus is almost 8 years old and does not deserve to be in kennels. He is very friendly and loyal and craves affection. He bonds very quickly with one person and gets very attached. Because of ear surgery previously, Zeus is deaf in both ears. This has not affected his superb temperament and most people would never know. 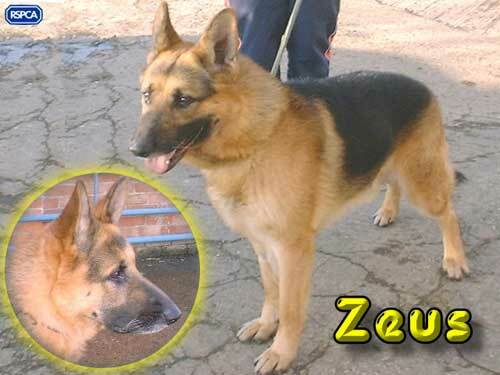 Zeus would prefer a home with some shepherd, or at least large breed, experience. He must live indoors as part of the family - in his last home he was put outside in a run alone and this made him extremely distressed. 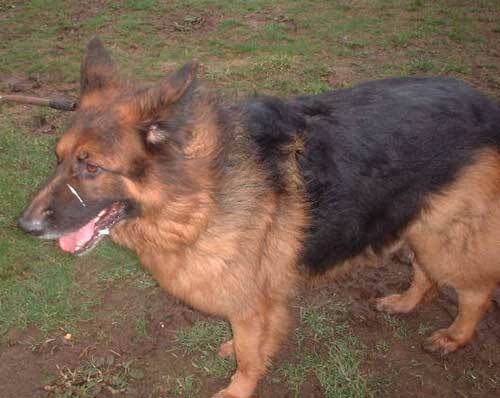 Zeus gets on well with calm dogs and can be rehomed with sensible children over the age of 13. Poor Skye has had a bad start to life and hasn't had the benefit of socialisation, spending most of her short life locked in a small kitchen and then the last 5 months in kennels. She gets very excited and boisterous so will benefit from some experienced handling and training. 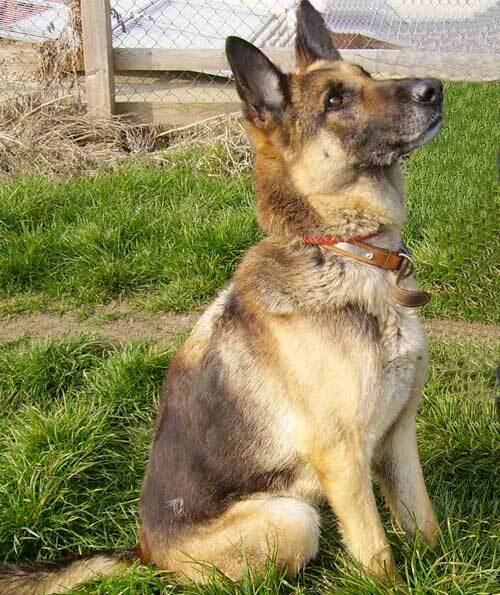 Skye is currently in foster living with a family of 2 children, another female shepherd and cats. A Very sharp intelligent young lady who like most GSD's seems to be a very good judge of character - she takes a dislike to certain types of people! 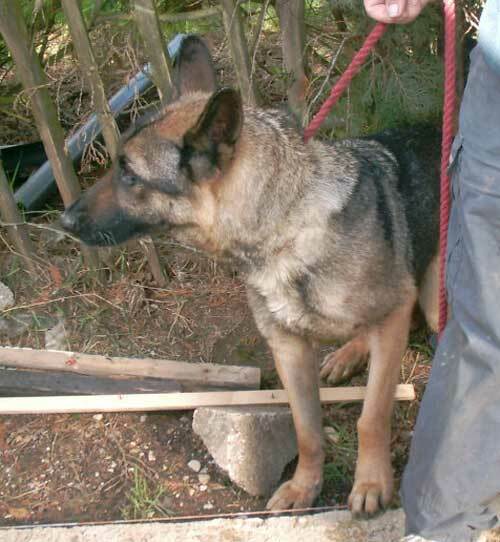 Years of neglect had left this big fellow in severe pain and this poor girl with problems. Many Tears will help with treatment costs. No adoption fee required, but please don't let them spend the precious time they have left in a kennel. This lovely young girl is in the same council pound that Talon and Gem were in - her weight has dropped rapidly since our last visit. She is looking worse than this now. Please, can you foster or adopt Chloe before she suffers anymore? We have no kennel facilities of our own and all commercial kennels are full for Easter. This young man is underweight and needs lots of t.l.c. He is obedient and friendly but can get a bit possessive. 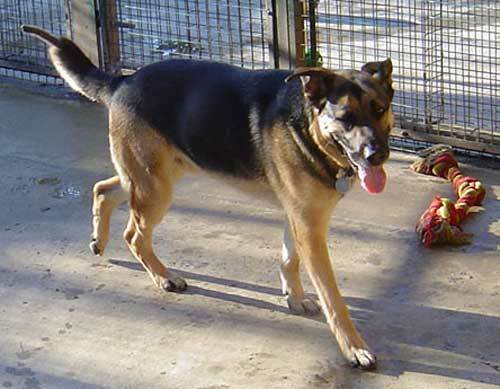 THOMAS - about 2 to 3 years old this friendly neutered dog loves to play and ignores other dogs. He loves being around people. This lovely big boy is a little too big so would benefit from exercise and a proper diet. He is very friendly and seems OK with other dogs and cats. He pulls on the lead. He is castrated. 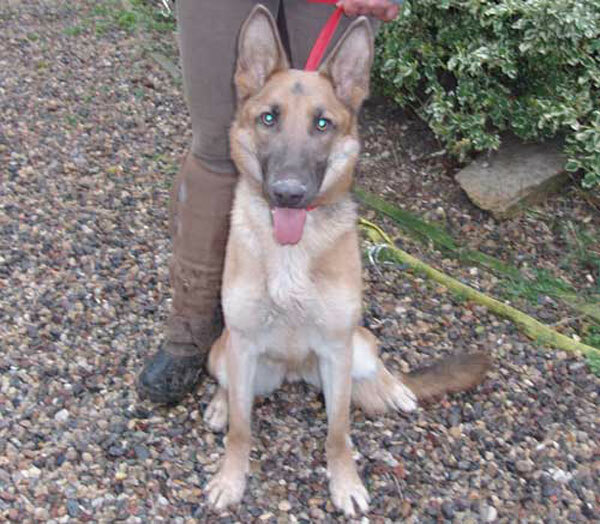 Frankie is about two years old, a soft eared GSD. He is overprotective of his 'family' and home surroundings. Frankie has found coming into kennels very stressful, he was fine initially then started spinning in his kennel and knocking his face against the walls as he did so. He chewed the hair off his tail as he spun and grabbed at it. He is devoted to his two kennel maids but not good with people he doesn't know. He needs an experienced owner who will train him and work to overcome his protective instincts. 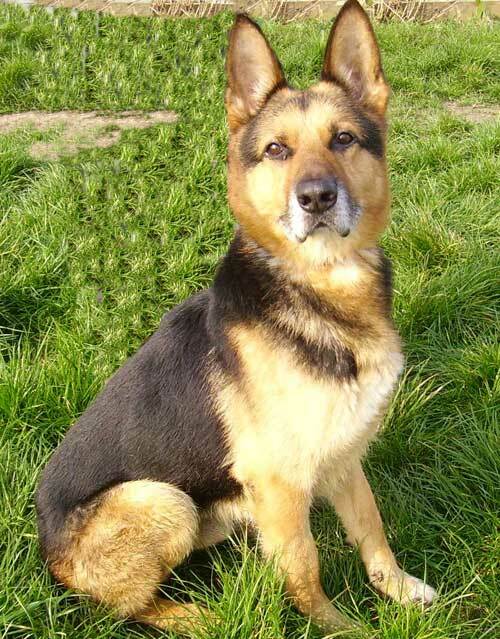 Poor lad needs out of kennels. 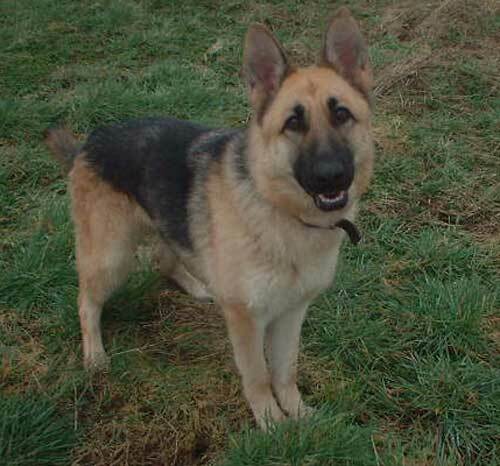 More German Shepherd Dogs and German Shepherd Puppies that have been rehomed.